There are a number of human experiences — I am thinking of such things as hallucinations, lucid dreams, visions, apparitions, false awakenings, out-of-body experiences, DMT journeys, eidetic visualization, hypnagogia, waking dreams, and active imagination — that are characterized by presentness, detail, externality, and three-dimensional explorable spacefulness. We can call these visionary experiences. and frequently involve interactions with apparently autonomous others. Such visionary experiences can be categorized in several ways. First, we can distinguish overlapping visionary experiences from total ones. An overlapping vision appears to occur within the otherwise normal perception of the environment: a person with Charles Bonnet syndrome sees a monkey sitting on his neurologist’s lap (Ramachandran, 1998, p. 107); a bereaved widow sees an apparition of her deceased husband standing in the hallway; an ayahuasca drinker sees cast-iron lawn furniture placed in front of a jungle hut (Beyer, 2009, pp. 232-233). 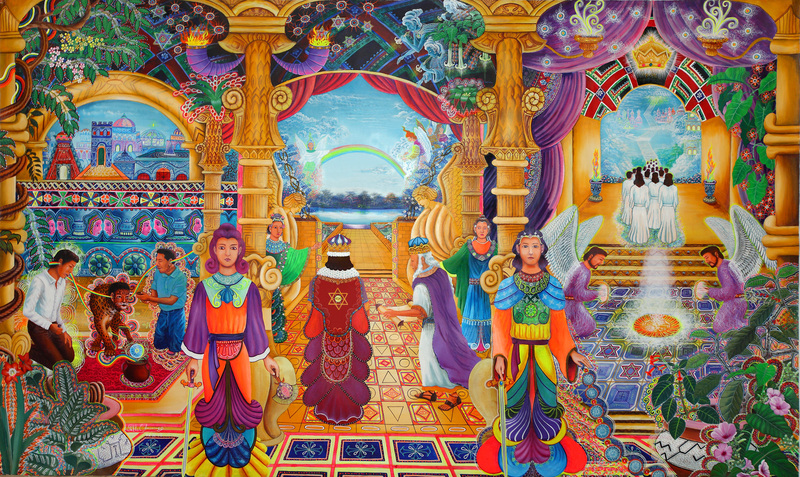 A total vision, on the other hand, substitutes an entirely different perceptual space for the ordinary environment: a lucid dreamer floats down a staircase; a runner hovers in the air, looking down at her own body during a marathon; an ayahuasca drinker has a vision of a golden child standing by a garbage-strewn empty lot (Beyer, 2009, p. 241). Either type of visionary experience may be multisensorial, incorporating vision, sound, and kinesthesia. Of course, there can be ambiguity. I may seem to awaken in my darkened room to see a figure standing in front of the dresser by the bed. If I have in fact awakened, then the figure appears to occur in my normal perceptual space; if this is, instead, a false awakening, and I am in fact dreaming, then clearly the vision has constructed not only the figure but my room as well. The same descriptions would fit a wide variety of total visionary experiences. Whether in lucid dreams, active imagination, or hallucination, people move through explorable landscapes — along a country road (Jung, 1935/1997b, ¶394, p. 144), through unfamiliar streets (Green & McCreery, 1994, pp. 1-2), high enough in the air to see the tops of the trees and small hills (Alvarado, 2000, p. 184). They interact with objects and people — push open a door (Jung, 1935/1997b, ¶394, p. 144), carry on a conversation (Jung, 1962/1997a, pp. 28, 30), confront an angry father (Laberge & Gackenbach, 2000, pp. 169). They turn corners and see unexpected things — a small chapel (Jung, 1935/1997b, ¶394, p. 144), a war memorial (Green & McCreery, 1994, pp. 1-2), a sunlit glade (Green & McCreery, 1994, p. 11). Unexpected events occur — a sparrow alights on one’s hand (Green & McCreery, 1994, p. 11), something with pointed ears scurries out of sight (Green & McCreery, 1994, p. 69), the hands of a clock suddenly move (Jung, 1935/1997b, ¶394, p. 144). These descriptions come from active imagination, lucid dreams, out-of-body experiences, and false awakenings, but they have a striking phenomenological consistency. Total visionary experiences convey the sense of being in an explorable environment, often in the presence of autonomous other-than-human persons. This sense has been discussed, in particular, by analysts describing active imagination — a world they call imaginal and I have here called visionary. For example, transpersonal psychologist John Rowan says, “It is crucial to understand that the imaginal world has a reality of its own, within the four walls of its own realm” (1993, p. 63). Here, Hillman says, “we have to engage with persons whose autonomy may radically alter, even dominate our thoughts and feelings” (1983, p. 55). Psychologist Mary Watkins says that one creates for oneself a home in the imaginal (1976, p. 124). “The imaginal world,” says Rowan, “is a world where real things happen” (1993, p. 54). Henry Corbin, a scholar of Sufism and Persian Islam, calls this visionary world the mundus imaginalis, “a very precise order of reality, which corresponds to a precise mode of perception” (1972/2000, p. 71). These visionary experiences can also be characterized along two dimensions — first, according to the degree to which the experience is entered into intentionally; and, second, by the amount of control the experiencer exercises over the content of the experience. Active imagination would be high in intentionality and low on control; Tibetan tantric eidetic visualization would be high on both; and a Charles Bonnet hallucination would typically be low on both. The same type of experience may occur at different points along these dimensions on different occasions. Hallucinations of the deceased are a commonly documented part of the grief reaction (Bentall, 2000; Grimby, 1993; Reese, 1971). Such experiences may vary on intentionality, to the extent that the bereaved attempts, for example, to engage the deceased in conversation or perhaps even attempts to call the deceased for purposes of communication. A lucid dreamer may — or may not — be able to control the actions of dream objects and persons, or be able to do so to varying degrees. Such visionary experiences appear to be a central and consistent component of shamanism generally — most prominently, for example, in the ayahuasca shamanism of the Upper Amazon (Beyer, 2009). Shamanic experiences would rank high on intentionality and relatively low on control, like active imagination. While the shaman can control his or her own actions while interacting with the spirits, the shaman has no direct control over the actions of the autonomous spirits; the shaman can ask a question, ask for help, even demand compliance, but most commonly cannot compel a particular response (see, e.g., Jakobsen, 1999). In this, shamanic experiences are similar to some Buddhist and Hindu eidetic visualization practices; conversely, certain spontaneous Buddhist visionary samādhis would rank low on both intentionality and control. Visionary experiences also appear to be quite widespread across cultures. For example, it is possible to trace the development and spread of both spontaneous visions and eidetic visualization as a meditative practice in both Hinduism and Buddhism (Beyer, 1977). Similar visionary experiences can be found in the writings of certain Muslim mystics of the twelfth and thirteenth centuries, especially the Persian Suhrawardī and the Arabic Avicenna and Ibn al-‘Arabī (Corbin, 1972/2000; Chittick, 1994). Here imaginal dialogues between men and their angels form the central experience around which a cosmology of levels and worlds revolves (Watkins, 2000, p. 75). In Europe, the surrealists independently plunged into the visionary world, which they called the imagination. “The imaginary,” says André Breton, “is what tends to become real” (quoted in Alquié, 1969, p. 126). And, in his Surrealist Manifesto (1971a, p. 66), he wrote, “Perhaps the imagination is on the verge of recovering its rights. If the depths of our minds conceal strange forces capable of augmenting or conquering those on the surface, it is in our greatest interest to capture them.” Similarly, in his Second Surrealist Manifesto (1971b, p. 89), Breton called the imagination the “vital and highest faculty of the mind,” the illuminator and not the falsifier of reality, the unveiler of hidden zones. Guillaume Appollinaire, in his Calligrammes, writes of “kingdoms vast and strange,” where “there are new fires of colors never seen, a thousand mysterious phantoms, which we must say are real” (quoted in Balakian, 1947, p. 106). “Reality, then,” says Breton’s biographer Anna Balakian, “in its dynamic sense proceeding from an interior state, nurtured by what we call imagination, and brought to an exterior existence . . . is what Breton calls the ‘surreal,’ in a sense that it has no connection with the unreal” (p. 89). Paul Eluard says, “Images are, images live, everything becomes image. They were long mistaken for illusions because they were restricted, were made to undergo the test of reality, an insensitive and dead reality” (Eluard, 1932, quoted in Ray, 1971, p. 126). There seems to be much in common among the various visionary experiences — active imagination, hallucinations, lucid dreams, out-of-body experiences, false awakenings, ayahuasca visions, shamanic journeys, waking dreams, apparitions, and eidetic visualization. There may indeed be an additional experience that shares with visionary experiences their characteristic presentness, detail, externality, autonomy, three-dimensional explorable spacefulness, and interaction with apparently autonomous others. I am talking, of course, about reality. If reality is a visionary experience, it lies toward the bottom of the scale of control. To the extent that the boundary between reality and other visionary experiences is fluid, and may be influenced by culture, training, and experience, it may rank higher on the scale of intentionality than we usually believe. Say you dream that you trip over a rock, look up, and see a child holding a flower and smiling at you. You might then seek to understand the meaning of the dream — to explore its depths, to find its message, to swim in its currents, to interrogate it and let it speak. You might go back intop the dream, or call it up in active imagination, and speak to the rock, the child, the flower: Who are you? What do you want me to do? Will you be my teacher? Now suppose that in reality you trip over a rock, look up, and see a child holding a flower and smiling at you. Why do we disrespect reality so much that we deny to it the meaning we seek in a dream or vision? Soul, says Hillman, is “that mode which recognizes all realities as primarily symbolic or metaphorical” — including mere reality. To the extent that these experiences are convincing, detailed, explorable, real, they make fluid the line between the visionary and the everyday worlds. Perhaps they teach us to de-reify the world, to personify, to mythologize — to obliterate the boundaries, construct a visionary world from the detritus of the everyday, let us see through, turn the world into metaphor, into magic. Alquié, A. (1969). The philosophy of Surrealism. Ann Arbor, MI: University of Michigan Press. Alvarado, C. S. (2000). Out-of-body experiences. In E. Cardeña, S. J. Lynn, & S. Krippner (Eds. ), Varieties of anomalous experience: Examining the scientific evidence (pp. 183–218). Washington, DC: American Psychological Association. Balakian, A. (1947). The literary origins of Surrealism. New York, NY: New York University Press. Bentall, R. P. (2000). Hallucinatory experiences. In E. Cardeña, S. J. Lynn, & S. Krippner (Eds. ), Varieties of anomalous experience: Examining the scientific evidence (pp. 85–120). Washington, DC: American Psychological Association. Beyer, S. (1977). Notes on the vision quest in early Mahāyāna. In L. Lancaster (Ed.). Prajñāpāramitā and related systems: Studies in honor of Edward Conze. Berkeley, CA: Berkeley Buddhist Studies Series. Beyer, S. (2009). 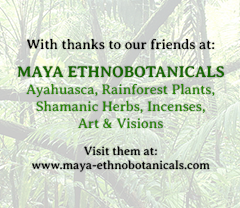 Singing to the plants: A guide to mestizo shamanism in the Upper Amazon. Albuquerque, NM: University of New Mexico Press. Breton, A. (1971a). Le manifeste du Surréalisme. In Waldberg, P. (Ed. ), Surrealism. New York, NY: McGraw-Hill. Breton, A. (1971b). Le second manifeste du Surréalisme. In Balakian, A. (Ed. ), Andre Breton: Magus of surrealism. New York, NY: Oxford University Press. Chittick, W. C. (1994). Imaginal worlds: Ibn al-’Arabi and the problem of religious diversity. Albany: State University of New York Press. Eluard, P. (1932). Poetry’s evidence (Beckett, S., Trans.). This Quarter, 5(1). Green, C., & McCreery, C. (1994). Lucid dreaming: The paradox of consciousness during sleep. London: Routledge. Grimby, A. (1993). Bereavement among elderly people: Grief reactions, post-bereavement hallucinations and quality of life. Acta Psychiatrica Scandinavica, 87, 72–80. Hillman, J. (1983). Healing fictions. Woodstock, CT: Spring. Jakobsen, M. D. (1999). Shamanism: Traditional and contemporary approaches to the mastery of spirits and healing. New York: Berghahn Books. Laberge, S., & Gackenbach, J. (2000). Lucid dreaming. In E. Cardeña, S. J. Lynn, & S. Krippner (Eds. ), Varieties of anomalous experience: Examining the scientific evidence (pp. 151–182). Washington, DC: American Psychological Association. Ramachandran, V. S. (1998). Phantoms in the brain. New York: Harper Collins. Ray, P. (1971). The surrealist movement in England. Ithaca, NY: Cornell University Press. Reese, W. D. (1971). The hallucinations of widowhood. British Medical Journal, 210, 37–41. Watkins, M. (1976). Waking dreams. New York: Harper Colophon. Watkins, M. (2000). Invisible guests: The development of imaginal dialogues. Woodstock, CT: Spring Publications. Nice article, Steve! It’s great that people are beginning to “see” the intentionality behind visionary experiences which is one of the principal concerns of magical practice and not written about enough. My only concern is muddling psychoanalysis “the imaginal” with magic as they tend to have opposing epistemologies. Psychoanalysis follows the western scientific rational view that the imagination is illusion or worse “hallucination”, a product (or derangement) of the mind and can have no effect on the “objective” world whereas shamanism follows the opposite, acknowledging no separation between mind and body, materiality and spirit. The surrealists (such as leading light, Breton) were attracted to the idea of the unconscious as a wellspring of creativity and irrationality (for its aesthetic radicalism) but in the end the surrealist movement became fragmented as it failed to serve Breton’s political agenda, which was in the end to create revolution. I think they would have needed a more unified and coherent vision to do this.